The week before the official first day of school is when you should be shifting the bed times back to “school nights.” Not only should the kids got to bed earlier but they should also start waking up earlier as “practice” for the real thing. And snooze alarms should be banned. That’s just asking for trouble. For the record, elementary and middle school students should be clocking around 10 hours of sleep while high schoolers should be getting at least eight. How often do you skip breakfast? 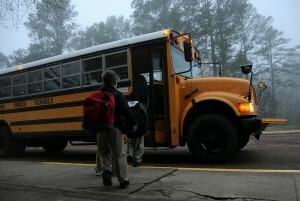 You might be able to grab something at work but kids don’t have that luxury at school. This is why they need a hearty breakfast that includes whole grains, fruit and low-fat milk. You want to try and avoid the sugary cereals or syrups. Kids that are going back to school are going back onto the frontline of “germ warfare.” You know the colds are coming. Time to remind the kids to constantly wash their hands. You should get into the habit of giving everyone hand sanitizer when they get into the car at pickup time. Just because school is back in session doesn’t mean you should give up on family time. Family dinners, game nights and weekend outings should all still be kept on the schedule. Everyone can use the break! There should also be a designated homework zone in the house that is clean, well lit and quiet. It will help to have a designated time for the homework that is consistent every day. The big thing to avoid is the Sunday night scramble to read 100 pages and write a book report! Getting ready for school also means clearing out the clutter from closets, bedrooms and that homework zone. This is where Junk King Albany can be a help. One session with these professional junk haulers can have all the unwanted items, big and small, removed from your home for good. Going back to school, the whole family will appreciate living in a junk-free house. Let Junk King Albany help make that happen today. This entry was posted in Albany Junk Removal and tagged clutter, decluttering, junk removal, school on August 31, 2018 by Junk King. Last updated August 31, 2018 . Inventory management is a fluid process that needs to follow an established plan. That plan needs to seamlessly incorporate all aspects of your business including marketing, catalog, ecommerce and merchandising. All of that planning should be applied against a master promotional calendar. This calendar should inform you when there are spikes in the business and when seasonal items need to be ordered. All of that information should be based on past performance. Inventory management also means vendor management. You know what your best selling items are. If you have a hard time keeping them in stock, then it makes sense to reach out to a second vendor to help fill in the gaps. Of course, this only matters if the original vendor is unable to fulfill your orders. 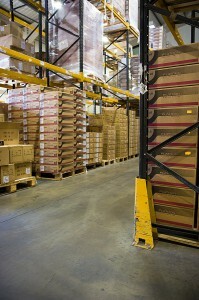 The most important aspect for inventory management is having room to store all that inventory. Hopefully, you won’t be holding onto it long but the time between delivery from a vendor and selling/shipping there has to be storage room. This is where working with a company like Junk King Albany can be a help. They’ll be able to help clear out any storage space whether that is a room in back of a restaurant or an entire warehouse. Hiring Junk King Albany to help clear out all your unwanted inventory will improve productivity all across your business. This entry was posted in Albany Junk Removal and tagged inventory, Junk King, junk removal on August 23, 2018 by Junk King. Last updated August 23, 2018 . Your space might seem cluttered and uncomfortable so our Capital District apartment cleanout services are an excellent solution. Keep in mind that our excellent streamlined process for getting rid of that unwanted stuff starts the very second that you get in touch with us. We couldn’t call ourselves an ecofriendly apartment cleanout service unless we recycled, so that’s exactly what we do. When you give us your removal needs to look after, everything goes to a central hub where we decide what gets recycled and what can be given away. It’s the perfect system to lessen everyone’s carbon footprint and keep things out of the landfill that don’t belong there. Because we are always interested in helping each and every one of our clients, here’s a few tips for Capital District apartment cleanout that will help the process be hassle-free. •	Don’t Hesitate. If you are like most people, you think you might be able to fix a damaged sofa and keep it. If you’re like most people, you never really get around to making that repair. We suggest that anything that’s broken should be our domain. It’s a quick and easy way to keep the process moving forward and you’ll appreciate the extra space. Thinking this way is a great method for decluttering and getting rid of unwanted furniture when you’re a landlord too. •	Old Computers Pile Up. If you’ve got a family in your apartment or even run a business from there, the chances are you’ve got a pile of old computers sitting somewhere in a closet. Our fast, efficient and friendly services would be glad to take them off your hands. We are committed and dedicated to responsible recycling and of course that includes electronics. Keep in mind that if you’d rather do all of the junk removal yourself, we have safe and insured mini dumpsters that you can rent. If you’re still sitting on the fence and unsure about our Capital District apartment cleanout services, we would like to direct you to the customer testimonials on our website. These are from actual people who have used our services and found them outstanding. We like to call them part of our Junk King removal family and we’d love for you to add your name as soon as possible. Getting the most from our Capital District apartment cleanout services can start today. All you need to do is get in touch with us. This entry was posted in Albany Clean Out, Albany Junk Hauling, Albany Junk Removal on August 8, 2018 by Junk King. Last updated August 8, 2018 .